Scientist.com, the life science industry’s leading online marketplace for outsourced scientific services, announced today that it has partnered with Astarte Biologics, a leading provider of immune cell products and research services for immunology and inflammatory research. Researchers in the life sciences industry can now access Astarte Biologics’ contract laboratory and assay services and purchase them online through the Scientist.com platform. Astarte Biologics is a Bothell, Washington-based company that specializes in custom immunology and inflammation research services and immune cell products. The company’s mission is to deliver the highest quality immune cell services and products to the life science industry. 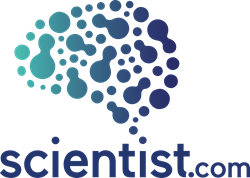 Scientist.com is the world's leading scientific services marketplace. The marketplace simplifies research sourcing, saves time and money and provides access to innovative tools and technologies, while maintaining full compliance with an organization’s procurement policies. Scientist.com operates private marketplaces for most of the world’s major pharmaceutical companies, VWR and the US National Institutes of Health (NIH). Visit scientist.com to learn more. Astarte Biologics offers the largest selection of characterized immune cells and reagents to help immunology and inflammation researchers get on with discovery. Astarte makes it easy for life sciences and pharmaceutical companies worldwide to find the right cells for their research needs. All products are well characterized, tested negative for blood borne pathogens, and searchable by donor blood type, gender, age, ethnicity and disease state. Astarte also offers comprehensive research services to aid in immune system research. Learn more at http://www.astartebio.com. Join Astarte Biologics on LinkedIn, Twitter and Facebook.